The dokumentarfilmwoche hamburg was brought into being at the 3001 cinema by Rainer Krisp and Rasmus Gerlach in 2004 and has been enriching Hamburg’s cultural landscape ever since by offering a varied and entertaining film programme. As the only festival in Hamburg and its surrounding area dedicated exclusively to documentary films, the festival is unique in the way it provides a local meeting point for people interested in documentary film, as well as a platform for the local film culture. 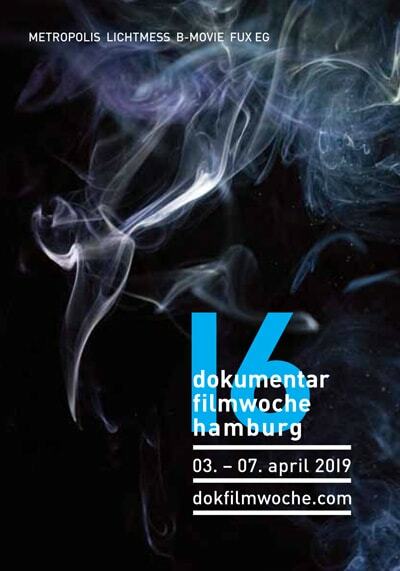 The dokumentarfilmwoche hamburg shows small, overlooked, experimental documentary films made without funding or broadcasters’ support as well as highlights from the german and international festival scene. A special emphasis is also placed on screening regional productions. From 2009 until 2015 the dokumentarfilmwoche hamburg presented „direkt“, a competition in partnership with the Klaus-Wildenhahn prize. In 2016 several changes were made to the festival programme: We have decided to no longer present the art form of the documentary film in the context of a competition. There is such diverstiy in the ways a documentary can approach reality that there can be no reliable criteria for an objectively best film. In addition, we have decided not to continue the subdivision of the festival program into individual sections. Nevertheless we aim to showcase documentaries that are ambitious, both in terms of content and artistic approach. We want to screen socially critical films that not only explain a topic, but also use techniques that challenge established patterns and explore the possibilities of the documentary form. We will continue to focus on the local filmmaking community and show documentaries about Hamburg or made by filmmakers from Hamburg, no matter if these are small projects, short docs or evening-filling productions from established filmmakers or producers. In place of our usual sub-sections an international film programme, not limited by rigid content or formal limitation, was introduced. Works from, or about our city, keep a firm place at the fesitval within the section Dokland Hamburg. Newly installed in 2016 was the Positionen programme in which, together with experts, we will debate current political and aesthetic tendencies of the documentary film.